YKK LONDON SHOWROOM IS HERE! 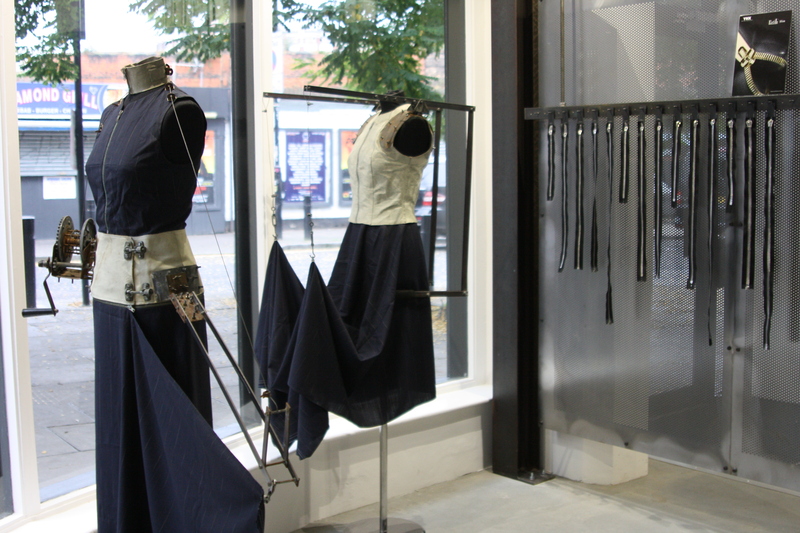 154 Commercial Street in Shoreditch has been transformed in to the new YKK London Showroom! 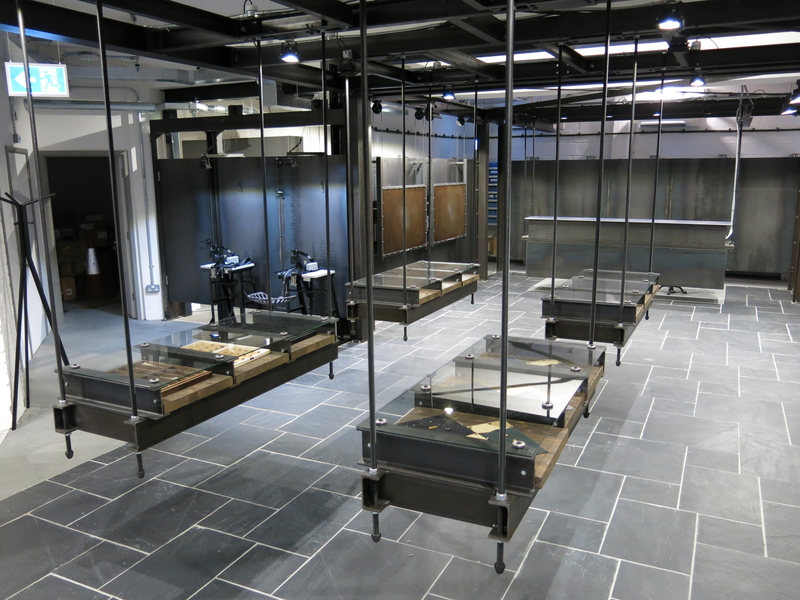 It has been a long journey but now we are ready to open our doors and welcome students, designers and customers to view our latest collections and extensive range of products. We are open now for appointments and visitors while preparing for our official launch in Mid-November. The interior of the new Showroom is a unique vision, designed by Fashion designer and architect Kei Kagami. Kei has been working with YKK as a consultant since 1988, and of course uses only YKK fastening products in all of his collections. 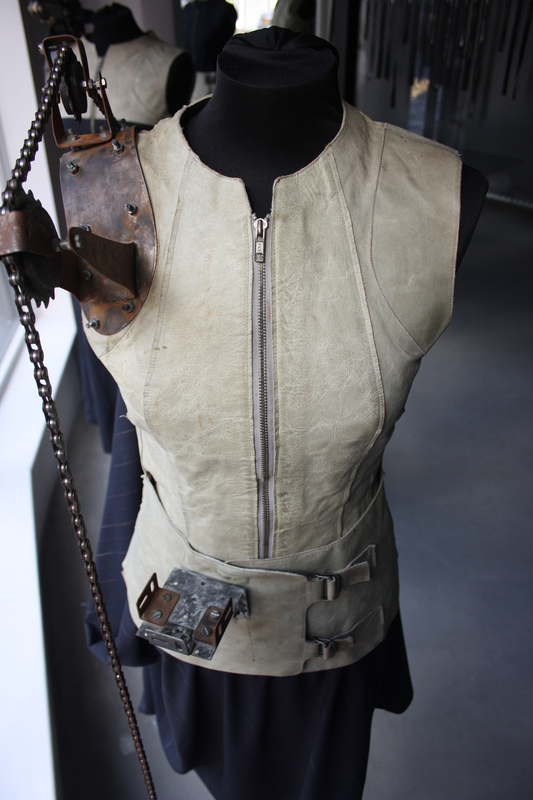 As part of his collaboration with YKK he has designed the new showroom and will curate a number of window displays throughout the year – including the current display which features striking pieces from his ‘Industrial Revolution’ collection. This collection ties in perfectly with the design and feel of the showroom space. The inspiration for the architecture of the showroom goes back to the roots of YKK and the industrial image of the company – founded in 1934; YKK produces not only the individual components but also the machines that make each part of the zipper. The YKK product range sits perfectly among Kei’s homage to YKK’s industrial history – and the dynamic nature of the design means that the space can be transformed seamlessly from a showroom to an event space in seconds. Follow us on Instagram @ykklondonshowroom to see how this unique collaboration has progressed over the past few months or come and visit us at 154 Commercial Street, E1 6NU.